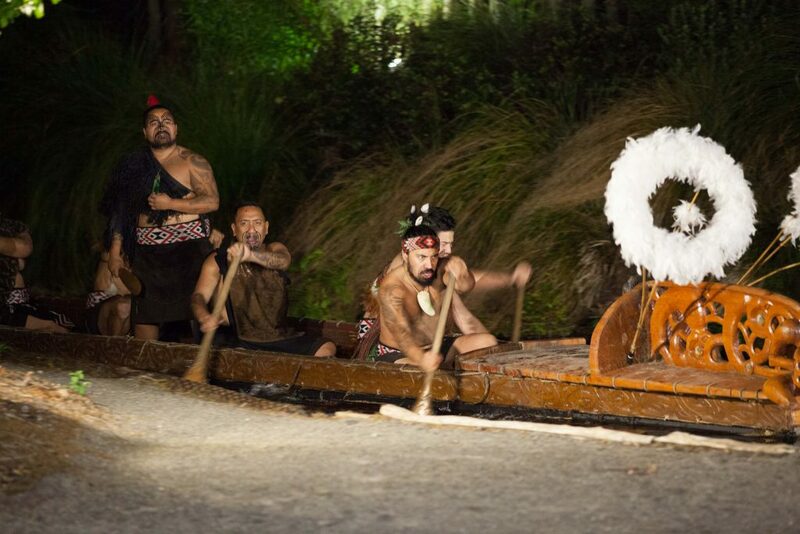 A reenactment of the arrival of the Polynesians on Aotearoa. The story of New Zealand, we were told, begins with the Māori. The first inhabitants of the country, the Polynesian ancestors of the Māori were said to have moved through the Pacific in double-hulled canoes more than 1000 years ago, bringing with them root vegetables like yam, taro (a starchy tuber) and kumara (sweet potato), their native dog, the kuri. The climate was a lot colder than the tropical home of the Māori, so many of the crops they brought along were unable to grow. The kumara, however, survived and thrived, and together with the abundance of marine life and large flightless birds found particularly in the South Island, the Māori were able to settle down to a permanent living pattern and a highly organised culture. The earth oven with hot stones. I ponder upon the importance and the influence of Māori culture in setting NZ food apart from the rest of the world. We had the opportunity to experience a traditional hangi at the Tamaki Māori Village. 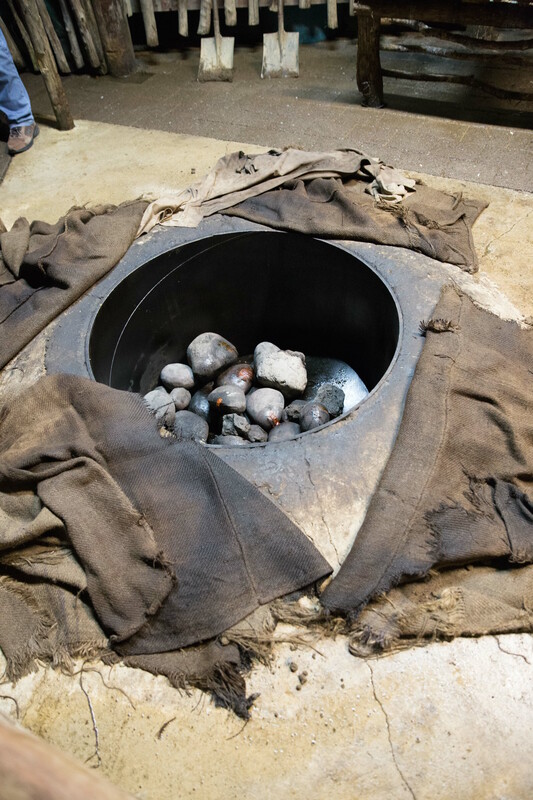 This is a traditional method of cooking where the food, typically fish, chicken and root vegetables like kumara, is covered with hot rocks and buried in a shallow pit dug into the earth. Food is layered on top of the rock and covered with leaves, sack cloth and then covered with soil on top. 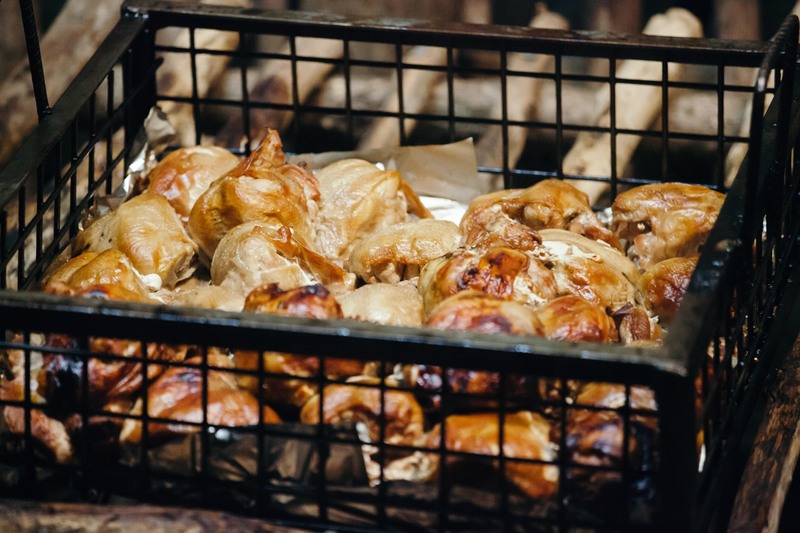 As a result, the food is infused with a smoky, earthy fragrance. I can’t help but be fascinated with this back-to-basics way of cooking and the smoky profile it creates! The inspiration for this SouperChef Special thus comes from the hangi method of cooking. 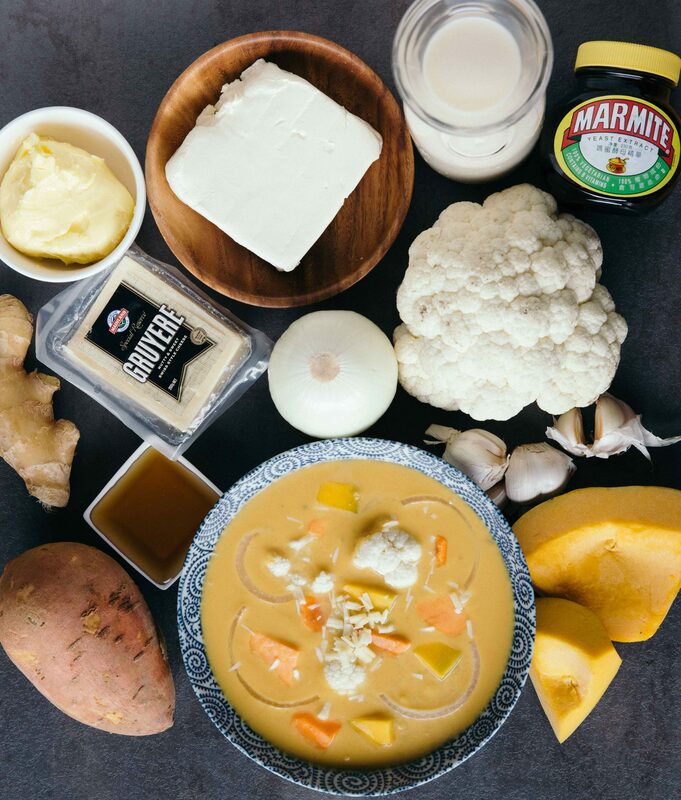 Sweet potato is used as the base of this puree as it is featured in many dishes in NZ and is considered the unofficial vegetable of New Zealand, just like how potatoes are to the Irish and tomatoes are to the Italians. Iconic Kiwi ingredients that go into this SouperChef Special! Marmite is also a popular Kiwi food item, often eaten with honey or cheese. Won’t it be interesting to see these two sources of national pride come together, with dairy complements of cream cheese and gruyere cheese? I have also added roasted caramelised cauliflower, jazzed it with French lentils and swirled with cream as a finish. 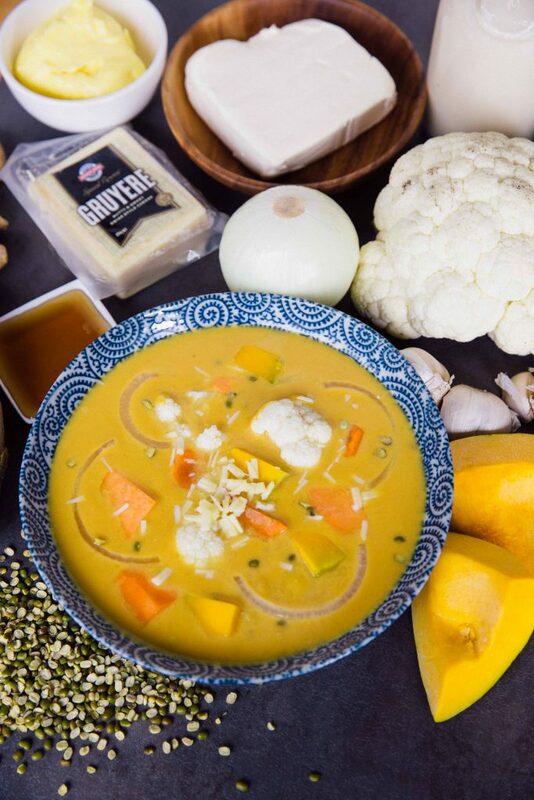 Enjoy this creamy soup with its uniquely savoury and smoky flavour!